A function of the SQG is Community Service. We make quilts for people in need i.e. serious illness or catastrophic events such as a house fire. 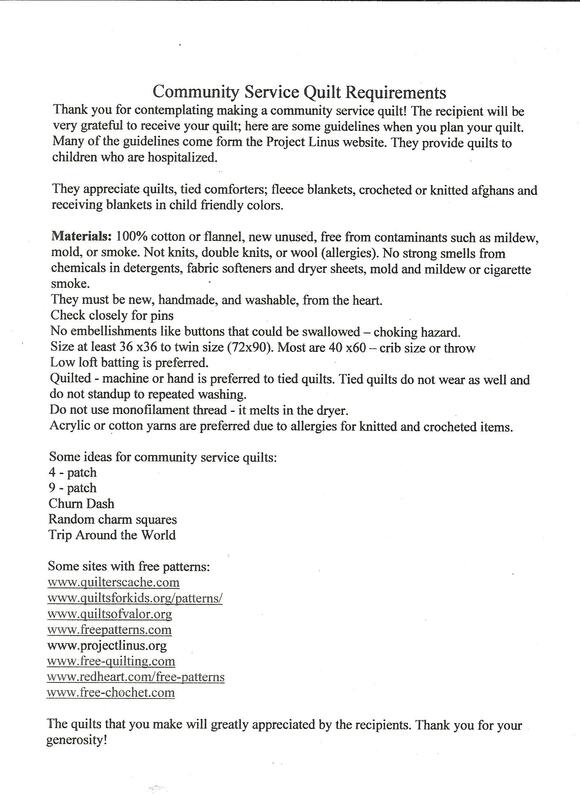 If you would like a quilt for someone, who you know would enjoy receiving quilt, please let Marty know. The Community Service group is called Community Quilters. It is the white church with steeples and red doors. Please come and join us. 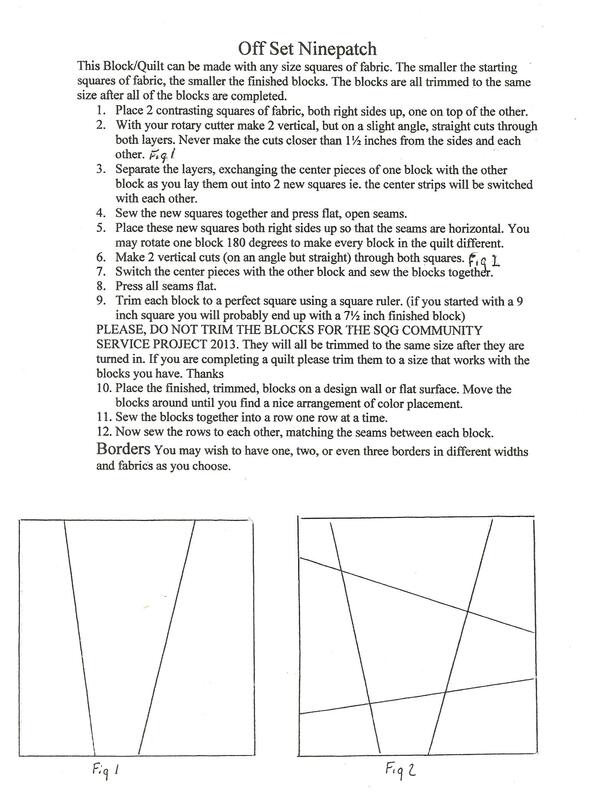 We need your help to sew, cut, iron, assemble tops, layer and machine quilt. There is something for everyone to do. Please bring your own bag lunch, coffee and tea will be provided. We welcome those who would like to join us. If there is a cancellation due to weather it will be listed in the list of closings on Channel 8.